As you may have read in the forums, a couple of us have swapped to a new phone carrier including myself. After being with the Telus sub-brand, Koodo, for about two and a half years, I decided it was time to move on. Personally, I have never had much loyalty with any of the telecommunication companies. I have been with Bell, Rogers, and Telus all at different times, and only now am I technically going back to Rogers. However, I decided to do an experiment. Pulling out my old Nokia 1661, my first Rogers-locked phone, I tried to use it for a week. After one evening, I quickly put the SIM card back into my unlocked LG G3. I never realized how much I relied on the extra features a smartphone has, whether it was a camera, GPS navigation, or a touch screen. However, using a dumbphone made me appreciate a few things. First of all, the build quality of the smaller phone was, and will probably always be, a lot better than many smartphones out there. In addition, it was nice to cut down all the phone features to just the necessities like calling and texting. Battery life was also a lot better, though this is not surprising considering all the lacking features. However, my favorite thing about using the Nokia was just the fact it was super compact. I did not have to lug around anything larger to get exactly what I need from a cellular phone. 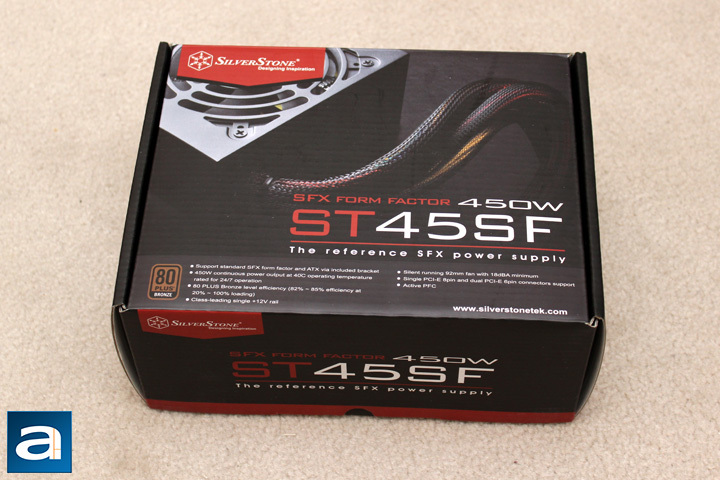 Today, we have the SilverStone ST45SF V3.0 450W power supply, another tiny SFX unit in our offices. With such a small overall footprint, it will be quite impressive to see what it is capable of. How did SilverStone’s OEM make such a tiny unit? And will it be capable for general users? Read on to find out! 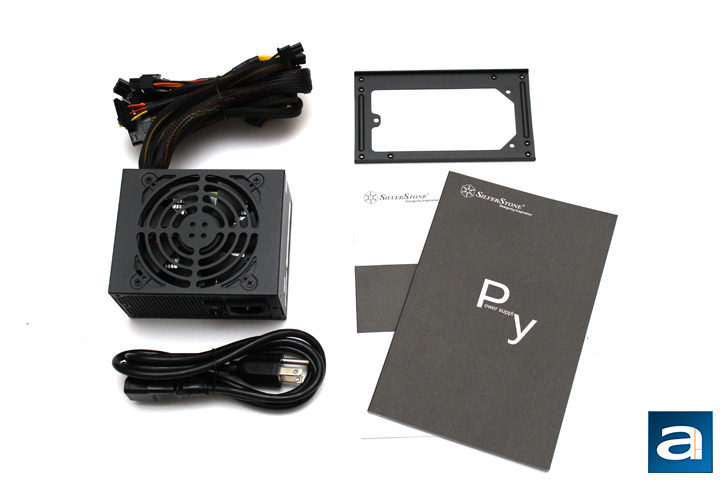 Today's review unit of the SilverStone ST45SF V3.0 450W arrived via SilverStone's standard choice of UPS Standard. With the guys in brown suits delivering our items, all of the products SilverStone shipped to us arrived in relatively good condition, though some boxes arrived in better conditions than others. In addition to this power supply, we also received the SilverStone SX800-LTI 800W in addition to two computer cases and some LED lighting accessory. 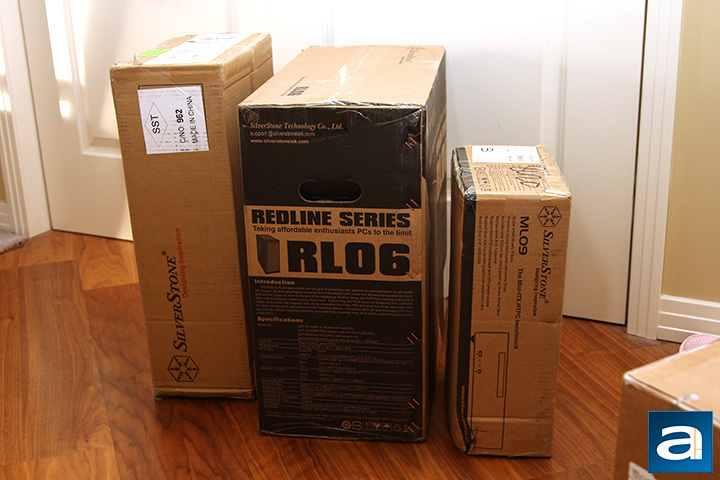 The two cases, the Redline RL06 Pro and the Milo ML09 have already been reviewed, while the rest will be coming in the next few weeks. When inspecting the retail container of the SilverStone ST45SF V3.0 450W, you can see this is a pretty standard look for SilverStone. Using a black and red color scheme, the ST45SF arrives in a relatively understated fashion. A clipped off photo of the power supply can be seen at the top left corner. Features and some specifications are listed below the image, with the product name printed also near the bottom. At the bottom, you can see the 80 Plus Bronze rating from this power supply. Around the edges are specifications of the power output and the connectors provided, while the back has even more information about the power supply. Out of the box, we have several things to speak about. The power supply itself is wrapped in bubble wrap, and comes with all the connectors attached. As this is not a modular power supply, it is at least nice to see all the cables wrapped up neatly with twist ties. We also have a power cable and two manuals detailing the power supply. A nice SFX-to-ATX adapter is also included, which is really surprising to see. While it is just a plate of metal, it was something omitted from much more expensive SFX power supplies like the SX700-LPT. Otherwise, the rest of the stuff is as you would expect, so let us take a closer look at the SilverStone ST45SF V3.0 450W. posted 5 hours and 32 minutes ago, with 9 posts. posted 5 hours and 33 minutes ago, with 3 posts. posted 5 hours and 35 minutes ago, with 4 posts.